The renovation of the Rotterdam Station (The Netherlands) has been awarded "Best Building of the Year 2015" by the Industry Association of Dutch Architects (Branchevereniging van Nederlandse Architetectenbureaus - BNA). 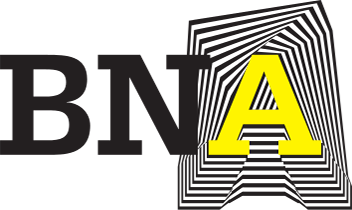 The industry association has over 1,200 members and organises the annual BNA Best Building of the Year. The station has been entirely renovated over the last few years, and has been transformed into a station with international appeal. The striking shape of the new station hall is a real eye catcher. The sloping roof with skylights allows for optimal natural light to enter. A large glass roof has been built above the platforms. This immense steel and glass construction has a surface area of approx. 28,000m², a third of which is covered with solar panels. HERTALAN® has been closely involved in the construction of this prestigious project. The glass panels were installed on self-supported, insulated steel gutters that were anchored to timber girders. The steel gutters were lined with HERTALAN® EPDM strips. The waterproofing details around the drains were manufactured to size by HERTALAN®. One hundred and twenty entries, six jury members and three hectic days criss-crossing through the Netherlands - these were the ingredients for the BNA Best Building of the Year 2015. The tenth edition of the award, which is awarded by the BNA to the architect and client of the best building, was tight; with the jury engaging in heated discussions before unanimously choosing a winner. The Best Building of the Year is more than just beautiful, functional and well built, to use the words of Vitruvius; by using the adjective "best", the BNA wants to show that the work of the architect delivers added value to the client and to society. "It is a Railway Cathedral, but also a normal every day train station. It is a building with international allure, but at the same time very Rotterdam. The sculpted stainless steel facade that boldly points into the city is powerful and robust, the square is vast. At the same time, the station hall has a human element, the timber interior is inviting; it is a place where you feel at ease. 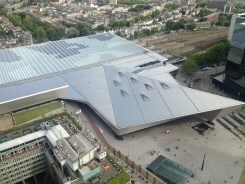 Rotterdam Central has it all. The jury is deeply impressed with the manner in which Team CS solved the large number of spatial issues presented to them."